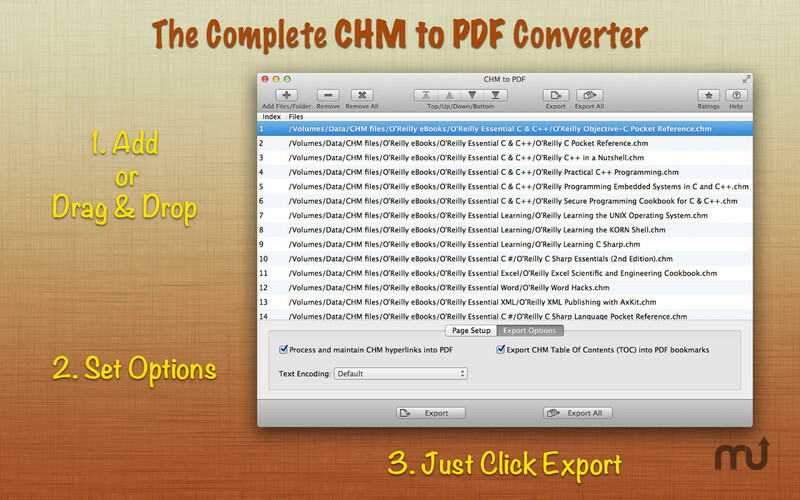 Batch convert Compiled HTML Help (CHM) files to PDF. More Apps RootRise Technologies Pvt. Ltd.
Is there a better alternative to CHM to PDF? Is CHM to PDF really the best app in File Management category? Will CHM to PDF work good on macOS 10.13.4? CHM to PDF is the ultimate converter tool for batch conversion of CHM (Compiled HTML Help) files into professional quality PDF files. 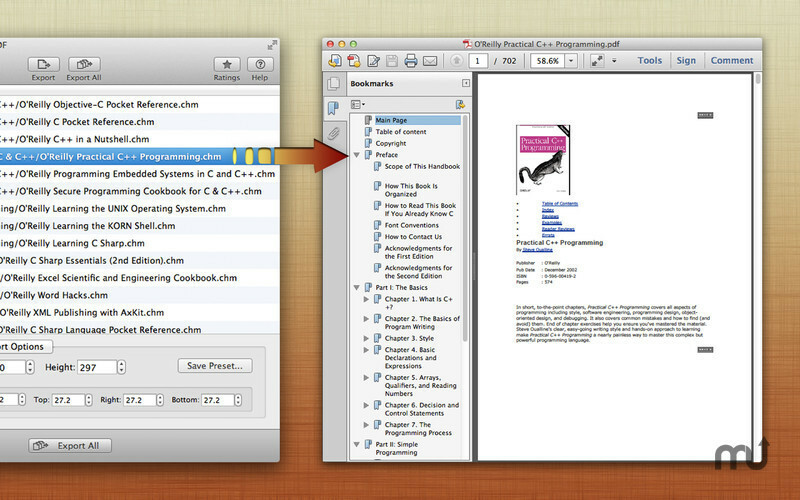 Converts the CHM file's table of contents into PDF bookmarks (outline). Preserves CHM internal- and external-topic hyperlinks in the PDF. It automatically maintains CHM topic- and page-navigation links as PDF-compatible annotations. Supports vast list of text encodings. Default page setup options available. Even customize page size, margin, and orientation. CHM to PDF needs a review. Be the first to review this app and get the discussion started! CHM to PDF needs a rating. Be the first to rate this app and get the discussion started!